Never sacrifice data security in the name of costs savings. 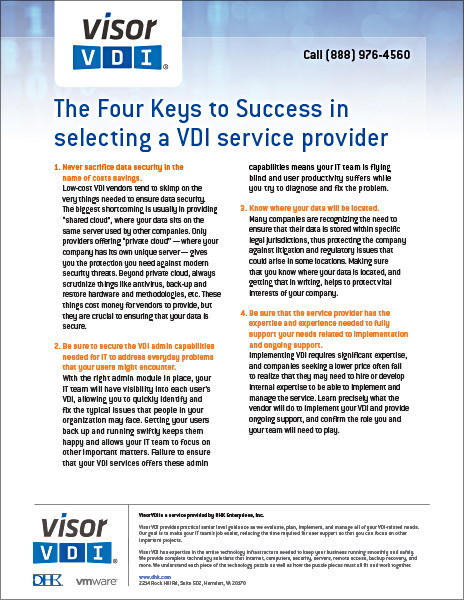 Low-cost VDI vendors tend to skimp on the very things needed to ensure data security. The biggest shortcoming is usually in providing “shared cloud”, where your data sits on the same server used by other companies. Only providers offering “private cloud” – where your company has its own unique server – gives you the protection you need against modern security threats. Beyond private cloud, always scrutinize things like antivirus, back-up and restore hardware and methodologies, etc. These things cost money for vendors to provide, but they are crucial to ensuring that your data is secure. 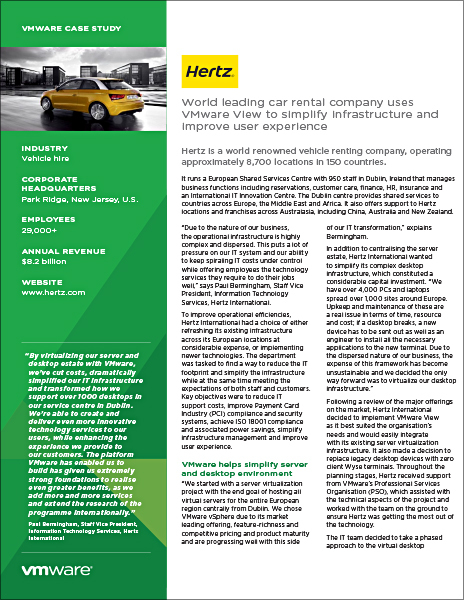 Be sure to secure the VDI admin capabilities needed for IT to address everyday problems that your users might encounter. With the right admin module in place, your IT team will have visibility into each user’s VDI, allowing you to quickly identify and fix the typical issues that people in your organization may face. Getting your users back up and running swiftly keeps them happy and allows your IT team to focus on other important matters. Failure to ensure that your VDI services offers these admin capabilities means your IT team is flying blind and user productivity suffers while you try to diagnose and fix the problem. Know where your data will be located. Many companies are recognizing the need to ensure that their data is stored within specific legal jurisdictions, thus protecting the company against litigation and regulatory issues that could arise in some locations. Making sure that you know where your data is located, and getting that in writing, helps to protect vital interests of your company. 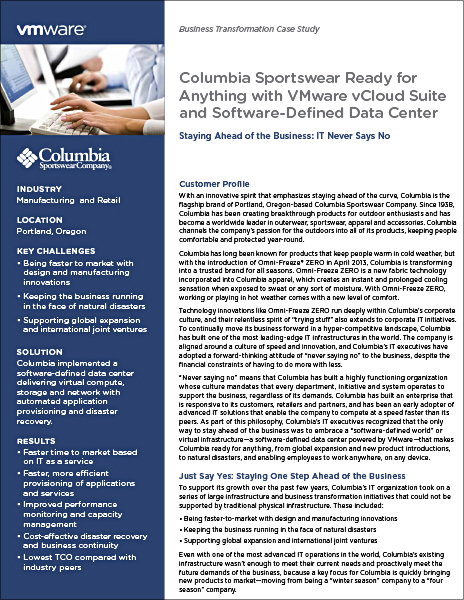 Be sure that the service provider has the expertise and experience needed to fully support your needs related to implementation and ongoing support. 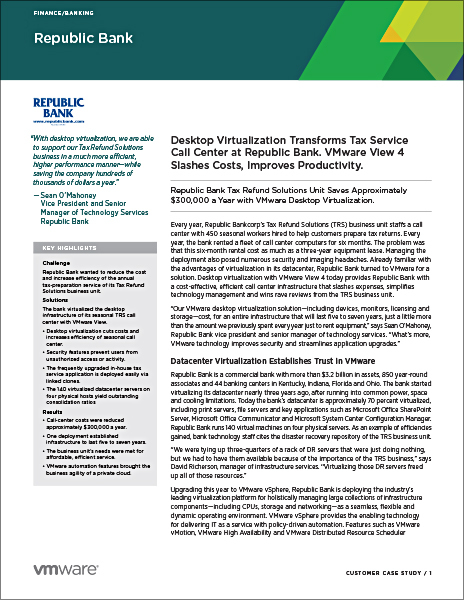 Implementing VDI requires significant expertise, and companies seeking a lower price often fail to realize that they may need to hire or develop internal expertise to be able to implement and manage the service. 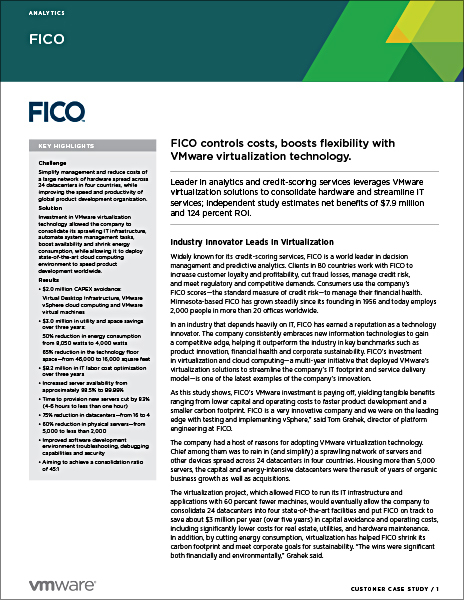 Learn precisely what the vendor will do to implement your VDI and provide ongoing support, and confirm the role you and your team will need to play.